The sale of Tata Steel's UK business is on hold as the company considers a European tie-up, creating further uncertainty for British steelworkers Speaking after a board meeting in Mumbai, Tata said it had started talks with "strategic players in the steel industry".They include the German company Thyssenkrupp.Tata said the uncertainty created by Brexit was a factor in its deliberations.The company declared its intention to sell all or part of its UK business in March.It employs more than 4,000 workers at its plant in Port Talbot in Wales and over 2,000 more at its speciality businesses in Hartlepool, Rotherham and Stocksbridge.A shortlist of seven potential buyers was drawn up in May, but one of the biggest stumbling blocks to the sale of the UK business has been the legacy of the British steel pension fund which Tata inherited when it bought the business in 2007. It has 130,000 members and a deficit of Â£700m.The government has been trying to break the impasse by launching a consultation on drawing up special legislation to lower pension benefits for many of the pension fund's members.Brexit uncertainty In a statement Tata said it had considered the bids for the UK business in detail and that they had also been reviewed "in the light of the uncertainties caused by the UK referendum and the outcome of the UK Government's consultation on the British Steel Pension scheme. "It added: "Taking the above issues into account, the Board of Tata Steel has decided to also look at alternative and more sustainable portfolio solutions for the European business." 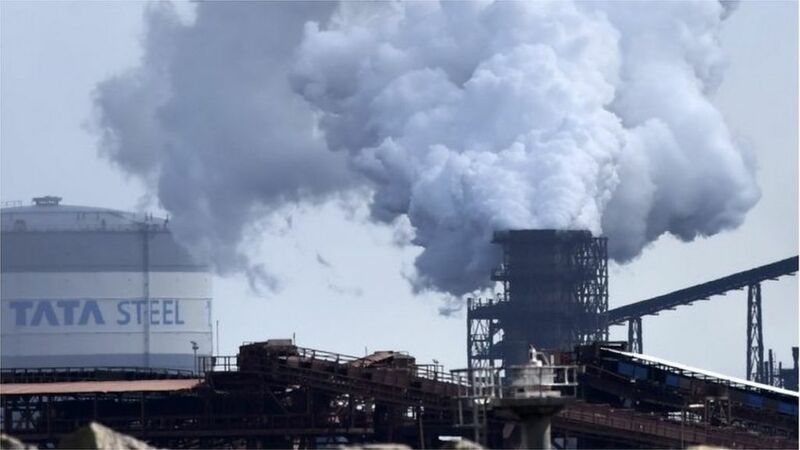 As well as discussions about a potential joint venture with another European steel maker, the company confirmed it was entering into separate talks on the sale of its South Yorkshire and Hartlepool businesses.It is unclear whether Port Talbot would be included in any joint venture, and in its statement Tata said the inclusion of the UK business would depend on finding a "suitable outcome" for the pension scheme, as well as on the success of talks with the unions and the support offered by the UK and Welsh governments.Responding to the announcement from Tata, Roy Rickhuss, general secretary of the steelworkers' union, Community, said it raised many questions that he would be seeking answers to over the next few days, and he added:"Any joint venture will raise significant issues as to the future of the UK businesses. Community will seek assurances in regards to future investment in the UK. "'Consolidation necessary'European steelmakers have been struggling to compete with cheaper imports of steel from China and a fall in steel prices on the world market.Thyssenkrupp responded to Tata's announcement by saying that it believed a consolidation of the the European steel industry was necessary, but that it still remained "open" as to when such a step would take place and who it would take it with.The UK Business Secretary, Sajid Javid, who is in India for meetings with Tata and trade talks with government ministers, confirmed the UK's offer to support Tata in securing a future for the UK steel industry still stood. He welcomed the news that Tata was in early talks with Thyssenkrupp, saying that it could create a European steel company which was "even stronger than Tata is today."